You'll be £8.99 closer to your next £10.00 credit when you purchase Struggle and Suffrage in Plymouth. What's this? Nancy Astor, the first female MP to take her seat in Parliament; Dr Mabel Ramsay, instrumental in the suffrage campaign in the south-west; Dame Agnes Weston, the first woman to be buried with full naval honours after her pioneering work with the welfare of sailors – the maritime city of Plymouth certainly has its fair share of influential women. The period from 1850 to 1950 saw a transformation in the lives of women of all classes. The rise of the feminist movement and the campaign for universal suffrage; continued industrialization; changes to employment and education law and the impact of two world wars had far-reaching effects on society and the place of women within it. Plymouth was no exception. 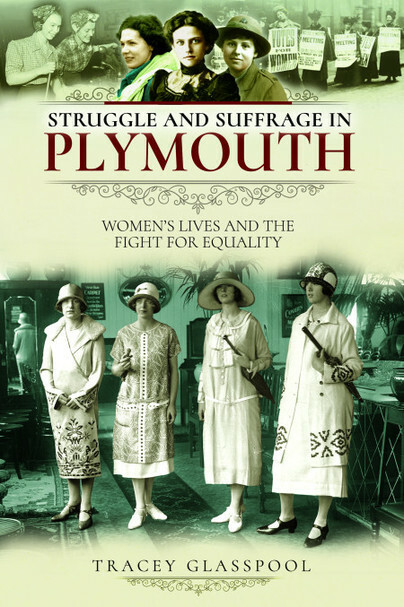 Struggle and Suffrage in Plymouth will consider how the lives of women were changed, from the everyday to the extraordinary. I cannot express enough of how much I enjoyed this book. It covers a huge time period where women were fighting equal rights and gives such a personal take on events through the stories of women who were there standing up for progress they believed could truly help their communities. Tracey Glasspool is a freelance writer from Devon who writes both fiction and non-fiction. Her work has won national competitions and has been published in a variety of magazines, books and online. She has a keen interest in family and social history, triggered at a young age by family research into a Victorian ancestor’s travelling menagerie.